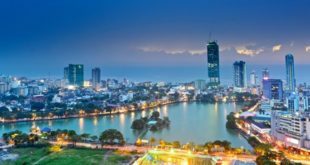 Bambalapitiya, in the heart of downtown Colombo, is arguably one of the most exciting places to be in the city, with shopping malls, bookshops, restaurants, and hotels lining its streets. The name is still quite intriguing as no one has been able to convincingly trace its origins. Whether it took its name from the Bambalosi or shaddocks that may have grown here in abundance, or that pungent salted fish known as Bombili that may have been spread out here to dry, we do not know for sure. What we can say for certain is that it has, for long, been a very happening place in the city—for at least a hundred years. It rose to prominence after Independence, especially after the famous Bambalapitiya Flats were built to accommodate middle-income people, mainly government servants. Here are a few places that thrived and throbbed with life in those halcyon days of the 1960s and 1970s, which, as any seasoned Bambalapitian will tell you, were the best days it ever had. This modest looking block of buildings on the seaside of Bambalapitiya still stands tall. 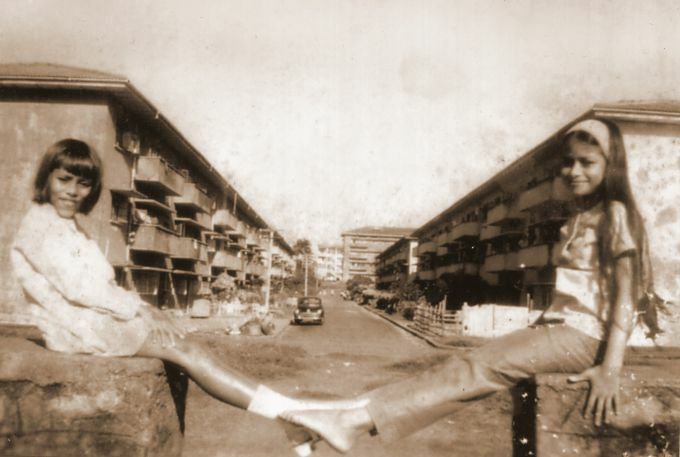 Though not as pretentious as the high rise towers mushrooming all over the city, Bambalapitiya Flats was the place to be back then, as any good ol’ Bamba boy or girl will tell you. 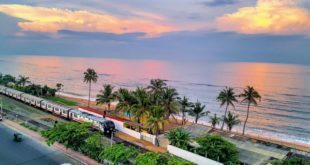 Built in the 1950s, the 16 blocks of buildings between Galle Road and the Indian Ocean comprised of two to four storeys built in such a way that the balconies gave a splendid view of the sea to the west. The blocks back then were colour coded for easy identification, with gelati colours like yellow, orange, pink, sky blue, lime green, and sandstone brown giving life to the scheme, especially in the evening when the golden orange orb of the sun set in the sea and bathed the flats with a beautiful sundown glow. The flats were meant to nurture community life with all sharing a common space that included a playground, walkways and beach frontage that could be enjoyed by residents. Over the years, it fostered a culture of its own which still survives to this day, just like the tall water tower that stands there like a sentry, sturdy as ever. The residents even had a collective name. They were called “the flatters”. They were a very close-knit community, despite hailing from different backgrounds. Though initially, Dutch Burghers peopled many of the flats, it soon became very cosmopolitan. There were Burgher families like the Deutroms, Hamers, Hingerts, Hoffmans, Kretsers, Kramers, Martyns, Mullers, Patternots, Swans and Van Den Driesens; Sinhalese families like the Cabraals, Silvas, Mendises, Abhayasinghes, Amarasekeras, Gooneratnes, Rajapakses and Ranchigodas; Tamil families like the Dwights, Ablesons, Amarasinghams, Gnanakumars and Rajasinghams; Moor families like the Cassims, Deens, Fuards and Hashims; Malay families like Lyes and Miskins, a Sindhi family known as Bhagwandas and even the descendants of an Englishman known as the Clogstouns, who were considered Burghers by almost everyone else. Though the migration of Burgher families taking advantage of the White Australia policy somewhat dented the lively mix, it did not affect the cosmopolitan character of the flats. The flatters were so united that if one was harassed, all would gang up to save his day as if they all stuck to the Three Musketeers watchword of ‘all for one and one for all’. In fact, the friendships forged then have lasted a lifetime, as any good flatter would tell you. If it’s anything to go by, in the ’58 and ’83 riots, the neighbours banded together to form vigilante groups to protect their much loved Tamil neighbours. In fact, during the ’83 riots, the Tamils in the Bamba Flats were the only community in Colombo that was not affected by the rampaging mobs. Here was a place where one had any number of friends to hang out with, where love was in the air and many a romance bloomed and blossomed. There were also the naughty lot who would whistle at girls, and aspiring Elvis Presleys sporting brylcreemed hair bumps and sideburns, strumming away their cares. They were popularly known as the Bambalawatte Boys and would get together at the grounds of the flats or at St.Peter’s College on the days of fairs and matches. The Malay flatters were cherished for their song and had two notable families of musicians living there. One was the Miskin family combo headed by Papa Latiff Miskin, who was a great trumpeter, and his sons, drummer boy Farook and crooner Ahmed. They often performed at Koffee House in the block facing Galle Road, and at Muslim weddings, which were very joyous occasions back in the sixties. The Lye brothers Kamar and Sherridan formed SKAR, a popular pop and rock band in the flats in the seventies. The Burgher families of Deutroms and Outschoorns who lived there also produced some fine musicians. Flatters also once in a while had Road Dances when they would gather between the H and G Block to dance away their cares to some groovy music. Besides the music scene, the flatters enjoyed a variety of other amusements, among them a mini movie which was screened every Friday evening for the young lads and lasses who would gather on the steps of the playground to watch the movie projected onto the walls of the G block. These were mainly monochrome action films with war, cowboys, and detectives dominating the scenes. They also had some dramas like the vernacular Siripala Saha Ranmenika, whose cast was composed entirely of flatters. At a time when television was not seen or heard of, such forms of entertainment kept the community going. Teenage flatters kept themselves busy with two interesting games. One was called cowboys and crooks, where the players would form themselves into two groups of about six each. One side would hide and the other side would seek to catch them. The hiders would fan out and find some nook to conceal themselves and the seekers would take them out one after the other by pointing their forefingers below the knees and shouting out ‘REACH’! The other was Tinball, where tinkiri (condensed milk) or MD (Marketing Department) processed food tins would be piled one atop another like a metal bamboo. Players would seek to topple the entire lot by throwing a ball and if they failed to down a few, a player from the other side would rush to put it back, before which one had to strike him with another ball to get him out. The girls used to play badminton, hopscotch or marbles and an indoor game simply known as girls-boys, where one had to come up with the name of a girl, boy, fruit, flower, country in that order based on a particular letter of the alphabet. The flats were also blessed with a beach frontage where residents could go sea bathing. The kids would rest on the rocks and sing songs while watching the lovely sunsets bathe the sky with yellow and orange. They also found time to fly kites from the ground, hand-made by the flatters.And if there was anything the flatters needed, it was only a stone’s throw away. Lining the ground floor of the first block facing Galle Road were a number of shops selling all that money could buy. There was a shop run by the Milk Board that sold milk bottles and ice cream and coconut peaks coated in dark chocolate and filled with moist sweetened coconut; a coffee shop called Koffee House; a shoe shop called Gemrich; a small department store called Woolworth; a fancy goods store called Bondray; and a cosmetic shop called Femina, not to mention Anoma’s hairdressing salon, which still stands. Majestic Cinema was by far the most popular film theatre in town. Established by the Parsi-owned Madan Theatres in the interwar years, as one of just three talkies or sound theatres in the country, it was bought over by Ceylon Theatres owned by Chittampalam Gardiner and was soon showing some great American movies. It stood where the present Majestic City stands, between Station Road and Arthur’s Place, and looked somewhat like Roxy Cinema (now Savoy Premiere) in Wellawatte—quite a modest affair. However, the films they screened were some of the best and attracted movie buffs of all kinds, especially the truant-playing Bambalawatte boys. 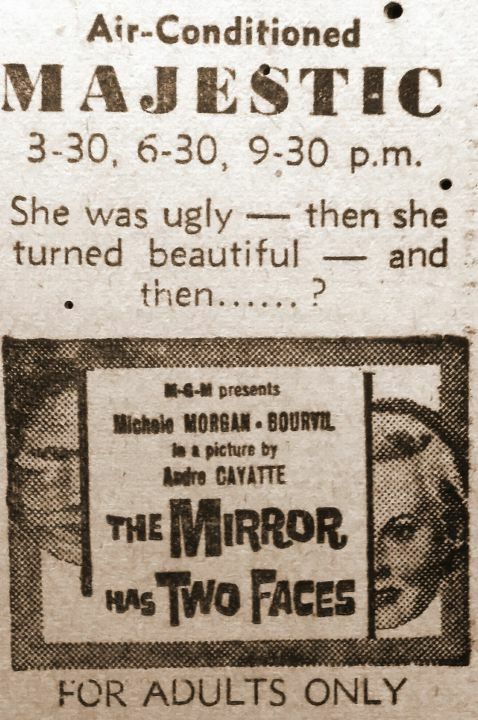 They mainly showed Metro Goldwyn Mayer movies like Scapegoat, Green Helmet, Tarzan the Apeman, Secret of Monte Cristo and The Mirror Has Two Faces in the early 1960s. Tickets back then cost a little over a rupee. Not bad for a cinema that offered a great variety of exotic films that could be enjoyed in air-conditioned comfort. Mayfair House at Bambalapitiya Junction was one of the best restaurants to be had in town. Run by Muslims of Indian origin, it was most famous for its biriyani and roast chicken, not to mention that famous egg pudding known as vattalappam. It also served hot hoppers and tea which were very popular with schoolboys and university students. Why it took its name of Mayfair from the famous district of London, rather than a local name at a time when nationalist sentiment was building up in the country, is food for thought. 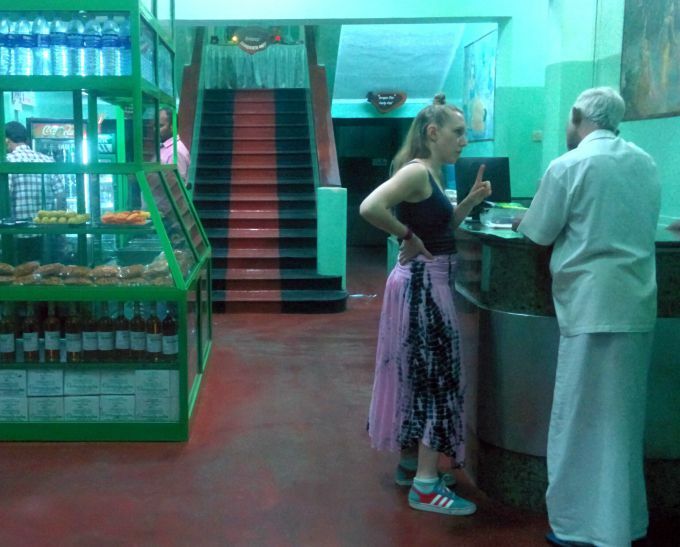 Greenlands down Shrubbery Gardens, started in the 1950s, was arguably Colombo’s first vegetarian restaurant. Its telltale green, that pervades the entire place from the gate to the long corridor leading to the washrooms, still bears testimony to the old world charm it has sought to retain from its glory days in the sixties when it was managed by I. R. Jacobs. Not much has changed since then, from its traditional looking reception to its marble table coverings which even old-timers will recall were the same back then. Even the old waiters here are clad like they used to those days. Laxmi’s, near the Bambalapitiya Police Station, was a much sought-after place for men’s fashion. It did very well at a time when readymade garments were hardly known. Run by a Sindhi gentleman named Thaku Chugani, it was a hive of activity in the sixties when the Beatles defined male fashion and in the seventies when the Bee Gees and bellbottoms ruled the roost. It was also heavily inspired by fashion developments in India’s emerging Hollywood in Bombay. It was much patronized by musicians and aspiring movie stars. There are still those who recall the days when it was patronized by local pop bands with fantastic names like Spitfires and Jetliners. The wares it had back then would have beaten any mod shop today, with its flowery tunics, psychedelic shirts and exotic bellbottoms that would look out of the world today. 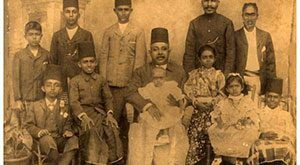 The writer is thankful to Bharata Mendis, Lucky Ranchigoda, Mohan Bhagwandas, Fazli Sameer, Shireen Mansoor and Pierangeli Andrado for sharing their memories, and to the staff of the National Archives for providing the archival material for this article.